DGM Association, in cooperation with Museum staff and Commission, is raising funds and working now on the long-term plan for design, fabrication, and installation of professional exhibits. The City of Blytheville hired Design 500, Inc. [Memphis, TN] to help develop our gallery and our proposed floorplan appears above. Three exhibits -- Native Americans, Agriculture, and Steel Industry are currently on the drawing board (see Perspective drawings below). We need YOUR help and support to make this dream come true for our community and our region. We ask you to please give generously! See our mailing address and a DONATION link on our home page. In the meantime, we offer hands-on exhibits for kids and a variety of temporary exhibits for public benefit and enjoyment (see the drop down menu under the Exhibits heading). We offer group tours and special events on a regular basis to raise money, public awareness, and to build support for museum development. In 1541, Hernando de Soto crossed the Mississippi River into what is now the Arkansas Delta and found a thriving, settled population of native peoples engaged in agriculture, long distance trade, and ongoing warfare among neighboring villages. It was the late Mississippian Period and a large settlement supporting perhaps thousands of people occupied the site where Blytheville is today. Our visitors will learn about the culture and lifeways of those ancient people, the original occupants of the Delta. In the late 19th and early 20th centuries, the swamplands of northeast Arkansas and southeast Missouri were still a part of America’s western frontier. Once the virgin timber was cut over and swamp drainage was under way, deep south cotton farmers seeking an escape from the boll weevil began migrating to this area. 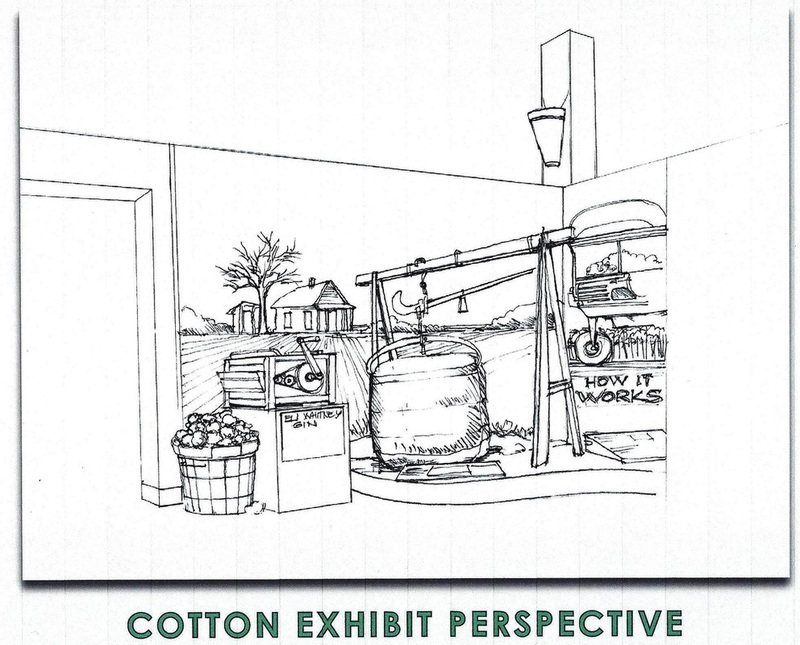 By the mid-20th century, northeast Arkansas was the top cotton-producing region in the nation. Our visitors will learn about historic farming practices in the Delta, such as sharecropping and breaking new ground, as well as topics like swamp drainage, flooding and flood control, and various types of crops grown. The late 20th century brought economic decline to the Delta and we still inhabit the poorest counties in Arkansas. But, in 1988, Nucor Steel opened the largest structural steel mill in the western hemisphere on the banks of the Mississippi River at Blytheville and the steel industry is now making a huge economic and environmental impact. Our visitors will learn why conservation and recycling are important for the Arkansas Delta and how steel producers, as the largest recyclers of scrap metals in the world, play a role in the Delta’s future.